People say to me often “How do you stay so strong?” Well I don’t. I just keep fighting and don’t dwell on what might be. Don’t get me wrong, I don’t ignore it and I don’t keep quiet about it, however I don’t sit and think about it, or pity about it, I don’t feel sorry for myself (in fact I feel proud of what I’m achieving) . I raise awareness of how Epilepsy really is and not what people THINK it is. People who think epilepsy is simple and you just “take a pill and it stops the seizures” listen up. Thousands of people like myself, all over the world have to fight every day. Epilepsy is not easy. Its scary! The knowing that the next seizure may be the one we don’t come out of, the many many pills we take everyday which give us side effects, The pain we get in our muscles and joints from the amount of seizures we have and the medication which eats away at our bones which we have no choice but to take. than some cancers, did you know that? We stay strong, we fight, we rise above it and try to live life to the full. We have had so much taken from us that we focus on what we do have we appreciate every small thing, a blessing you don’t have. Many of us can’t live alone, or even have time alone. We can’t drive, we loose our jobs, partners, fiancé’s , family and our friends stay away. I act strong because I don’t want people to see the real me and what the real me has to deal with every day…. I mean if I complained about every pain and everytime I had a seizure or felt auras I would never stop moaning and I couldn’t bare to be one of “those people”. Although I appreciate every moment, I do miss the freedom of being able to go out alone, having a job, going down the road alone to post a letter even. I miss shutting myself away in my room with incense and quiet music without being disturbed every 2 mins checking I’m conscious!. I miss being alone and being able to talk to the real me when there is no one to influence my decision or thoughts. I wonder what life would have been like… would I still be the semi-shy person? Though I love what I’ve managed to do and that I’ve become a voice for Epilepsy, I would do anything to walk round the park alone for half hour. Watching the world go by. I would do anything to go back to work, amongst the patients I love to help, the staff I miss as friends. Yet life is life and I can’t change any of the above. I can however change how people react towards Epilepsy and that is the biggest challenge I will face in my life. So Im no stronger than any other sufferer however I have chosen to speak out, be a voice, try and change things. Ive decided that I want to leave my mark on the world, so everyone knows I was here. 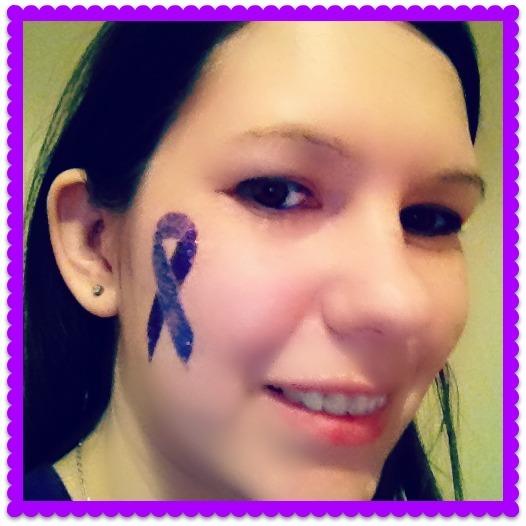 I want to be known in the world of Epilepsy. I look around my life rather that at it. I have a mum that loves me, a wonderful cat and lots and lots of “real” amazing friends and we all stick together. They are all there for me as i am for them and are totally amazing. Life is not measured by how many friends you have around you but by the friends who stick by you through thick and thin. Life is not measured in the crazy things you do in life but your dreams, hopes, desires and the journey. Life is amazing – it doesn’t matter what pace you take it at. fast or slow its still a journey. I choose to speak out fight it with a smile!